Sweeping changes are coming to the federal government’s flood insurance program that will leave Long Island’s 90,000 policyholders with new premiums weighted heavily on location. The revamp of the National Flood Insurance Program is being billed by its administrator, the Federal Emergency Management Agency, as the most significant in the program's 51-year history, though the 5 million policyholders nationwide haven't been notified of the changes set to go into effect in October 2020. Under what FEMA calls "Risk Rating 2.0," premiums will be based on how close a home is to the coastline and how much it would cost to replace. Today on the Island, all homeowners in a government-designated high-risk flood zone pay the same rates for the same coverage, depending on the town or village they live in. The overhaul is coming three years after homeowners saw their premiums increase nearly 20% to slowly close a roughly $20 billion shortfall incurred from a series of catastrophic storms in the past decade that include superstorm Sandy. Since FEMA laid out the overhaul in a 221-word statement on its website a few weeks ago, pushback has been building at the state and local levels. Senate Minority Leader Chuck Schumer (D-N.Y.) is demanding that FEMA put the plan on hold until Congress gets a full accounting of the cost to Long Island homeowners, both in terms of premiums and property values, and the impact on the Island's housing market. Others voicing opposition are Laura Gillen, supervisor of the Town of Hempstead, and Gov. Andrew M. Cuomo. Laurie Lohrer is resigned to paying a higher rate. In the past two decades, the accountant has seen her annual premium for her home in Lindenhurst — a mile and a half from the water — jump from $1,200 to $2,500. 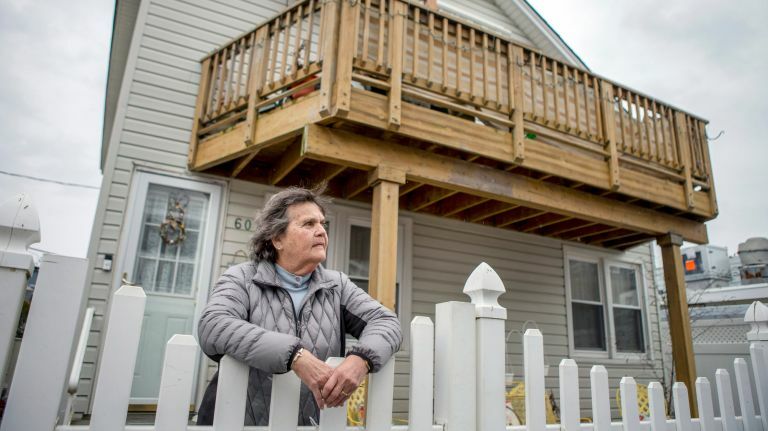 "There's not much I can do about it," said Lohrer, who had an $85,000 repair bill for the 3 feet of water that her home took on during superstorm Sandy six years ago. "I am kind of stuck."